We offer a warm, welcoming atmosphere with delicious home cooked food and quality real ales. 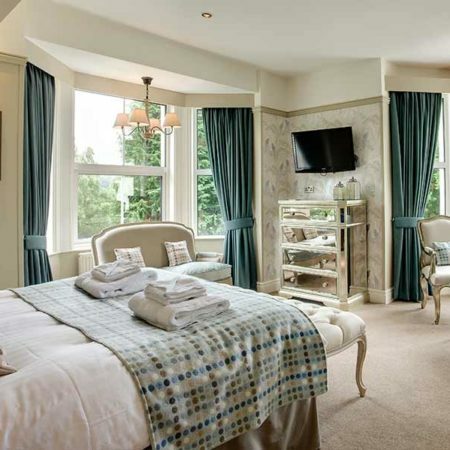 We also have 16 bedrooms, all with the comforts you’ll need for a relaxing stay. As well as our great location, we also have a fantastic garden area which overlooks the beautiful Menai Strait. Feel free to ask to be seated in our outside dining area, where you can enjoy our fresh seasonal food alongside a glass of wine. There’s also a children’s play area so you can keep the little ones entertained whilst you put your feet up and relax in comfort. Served until 5pm, Monday to Friday. 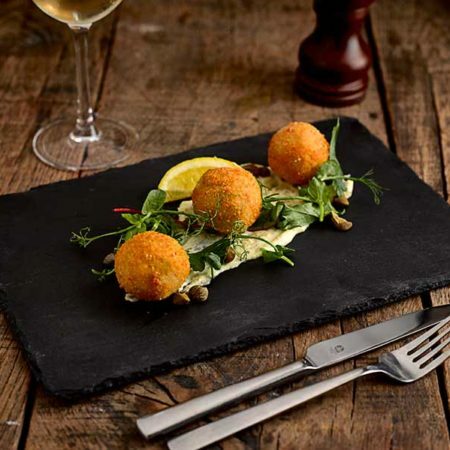 Enjoy 2 courses for £10.95 or 3 courses for £13.95. Available on all dishes from our Light Lunch menu. If you’ve visited North Wales before, you’ll already know just how stunning the Isle of Anglesey is. Overlooking the beautiful Menai Strait, our large garden and outside dining area is the perfect place to take in the incredible views of the surrounding area. After a visit to Penrhyn Castle the Anglesey Arms was recommended to us by a couple of ladies at the National trust. The menu was great, lots to choose from for both children and adults. The staff were very friendly and helpful. We ordered the beer battered fish and cheese and onion pie. Both were absolutely delicious! A great recommendation. Called here on a Saturday afternoon for a drink and something to eat. Dog friendly in the bar which was good for us as we had our collie with us. Good cask beer and a quite extensive menu, more than just pub type food. When it arrived it was tasty and well presented and the staff were efficient and friendly. Would go again if passing that way. Needed a short break with our lovely labrador. Very welcoming. Beautiful ensuite room. Perfectly situated for beautiful walks. Staff very friendly. Will certainly visit again.